Unfortunately the greatest percent of those deaths are African Americans. Will you help me change this reality? Hi! My name is Dan Hammer. I want to help the African American community change this reality. I want to empower people with practical and effective information that can help them regain control of their health rather than their health controlling them. I’m looking for African American websites that want to partner with me in this endeavor. Before I share with you the cardiovascular diseases facing the African American community, let me briefly explain The African American Affiliate Program! It’s a simple program that has two options. You can choose either option or both. Option 1 – Information!I have a section on my website specifically designed to address the health issues facing the African American community. Additionally, I have a wide range of other articles designed to help people slow down the aging process and improve their overall health. Option 1 allows you to link to the articles on my website that you feel will best help your audience. It can be one article or it can be all the articles. You choose what is best for your readers. This option is free to you and it enhances your website with great content driven information that can make a significant difference in the health of your readers while improving your search engine rankings. Option 2 – ProArgi-9 Plus! 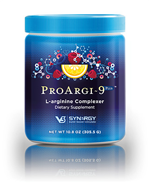 I represent a product called ProArgi-9 Plus from Synergy WorldWide. It is a revolutionary L-arginine product that offers great taste, far-reaching health benefits, and powerful support for the cardiovascular system. Please click on the picture for more information about ProArgi-9 Plus. I’ve set up a simple system that allows you to promote this product on your website. Every sale your website generates is a $10 commission to you. Additionally, the person who bought ProArgi-9 Plus is your customer for as long as you continue with The African American Affiliate Program! This means that when they order additional containers of ProArgi-9 Plus, all their future purchases will be credited to you. All you do is promote the product. We do the product shipping, tracking, accounting, and then send you a check on the 10th of the following month for your sales. What potential income does this mean for you? While we cannot guarantee your level of sales we do know that there is a huge potential market for ProArgi-9 Plus. 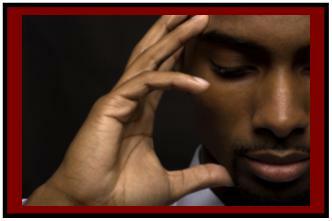 Alzheimer’s disease – African Americans are at a higher risk for Alzheimer’s disease than any other population group. Diabetes – Type 2 diabetes has grown to epidemic proportions in the United States. People with diabetes have a higher risk for stroke, heart disease and circulatory issues. The African American community has a two-fold higher rate for diabetes than the Caucasian community. Most diabetes-related deaths are due to cardiovascular disease. Erectile Dysfunction – Erectile dysfunction affects 50% of the male population over age 40 and is even greater in the African American community. Heart Disease – African American women in the age range of 25-44 have a 2.5 times greater risk of coronary heart disease and African American men have a 1.5 times greater risk than the Caucasian community. High Blood Pressure – The number one risk factor for stroke is high blood pressure, and 1 out of every 3 African Americans suffers from high blood pressure. The American Heart Association estimates that 28% of African American adults and more than two-thirds of African Americans over the age of 60 have high blood pressure. Sickle Cell Anemia – It is estimated that one out of 12 African Americans has sickle cell trait and one out of every 400 births has sickle cell anemia. Stroke – African Americans are twice as likely to die from a stroke as Caucasians. The rate of having their first stroke is almost doubled that of Caucasians. One half of all African American women will die from either a stroke or heart disease. For those with sickle cell anemia, 11% will have experienced a stroke by the age of 20. That is quite a list of health challenges facing the African American community. Together we can help make a difference and make a significant impact in reducing the devastating effects of these ailments. If you are interested in joining our affiliate program then please contact me directly so that we can establish which option best fits your website and readers. Thank you for considering The African American Affiliate Program to help improve the health of those we love. If you have questions or concerns regarding this section or if you need additional clarification, simply click here to email Dan which has “African American Affiliate Program” in the subject line. I look forward to hearing from you!